In order to get your appraiser license you need to first check with your state's requirements. Each state has its own licensing requirements set by the Appraisal Qualifications Board. In order to become a licensed residential appraiser, most states will require you to have approximately 2,000 hours of experience, 90 hours of education. You must also successfully pass the examination. If you want to become a Certified Residential Appraiser, or Certified General Appraiser, you will need even more training and experience. If you want something more than just a certificate then find an appraisal school that also offers a real estate appraiser bachelor's degree program. You need to make sure you get the best education possible if you want your appraiser license. All of that starts with finding a school that offers real estate appraisal degee programs. Some schools will teach you all you need to know in order to have a successful career, while others will only teach you what you need to know in order to pass the test. Since both are important, you need to sign up for an appraisal school that will teach you how to do both. Passing the test will get you started, and knowing all the principles will help you in the long run. Along with training, you will also need to have experience to go along with your appraiser license. In order to gain experience, you need to find a good mentor. A good school may even be able to help you get the experience you need. Networking is extremely important, especially if you want to start your own appraisal business someday. You'll need to keep up with all the latest updates in the industry as well as the technology involved. A good mentor will help you keep up with everything. Personal integrity as well as professionalism. The ability to look over personal biases and to be objective. A love for new challenges. The ability to treat being an appraiser as a career and not a job. If you have the willingness to learn and enjoy facing challenges, then this is a right career choice for you. Before anything, though, you need to choose a good school and work on getting your appraiser license. If your state will allow you to take online classes, then you should look into all your distance learning options. Imagine being able to obtain your appraiser license from home! Online schools can be just as good as traditional schools. For some people, they're even better. Learning from home can be a very convenient and wonderful opportunity. You can even continue your education and work at your current job at the same time until you receive your real estate appraisal license. If you want to go this route, you need to do some research first. Which online schools are accredited? Which offer financial assistance? Do any offer 110% money back guarantees? Some may even refund your money if you don't pass the test! Obviously, if your state will allow it, your best bet is to go with an accredited online school. Check into online Appraisal Licensing Packages so that you can become receive the training and experience you need. It is important to get your real estate appraisal degree from an accredited online school. As a real estate appraiser your day starts usually with homework on markets at the office. You’ll review sales data if you work as an appraiser for a bank or look up what appraisals you have scheduled for the day. When you go out to the home or property that you are appraising it is important to review old tax documents, older appraisals as well as really understand that area where the proper is located at. Upon arrival of the property most real estate appraisers start by walking the parameter of the property verifying the lot size as well as number of dwellings. As an appraiser you aren’t a home inspector, nor are you there to point out things that are physically wrong with the home. What you can however look at are additions (from the outside) that were done on the home. Does the home have a swimming pool, extra decks, additional landscaping, etc. As an appraiser you use guidelines from past sales as well as current market conditions to come up with your assessment of the property. Your job is supposed to be an honest appraisal of the property and not what the bank or the real estate agent tells you it is worth. One of the biggest problems with the real estate market in the 2000’s was appraisers were appraising homes higher than what they were worth and banks were making loans at over the appraised value. After you make a physical inspection of the home you can return to the office to write up your official appraisal and submit it back to both the bank and real estate agents. At this point this could affect the selling price if the purchase price is more than the appraised value, especially if the buyers need a home loan. 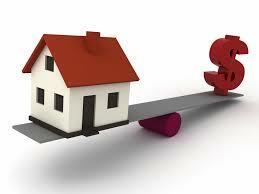 No bank will lend out money for a home that is appraised less than the loan. The reason why people choose an appraisal career is they love to be out of the office. One of the hardest things is to break into the industry. The average real estate appraiser is over the age of 51. The amount of hours needed to get licensed typically prevents most from wanting to enter in the industry and current appraisers aren’t willing to help new appraiser get their required hours in the field. Get your appraisal degree from only an accredited school.